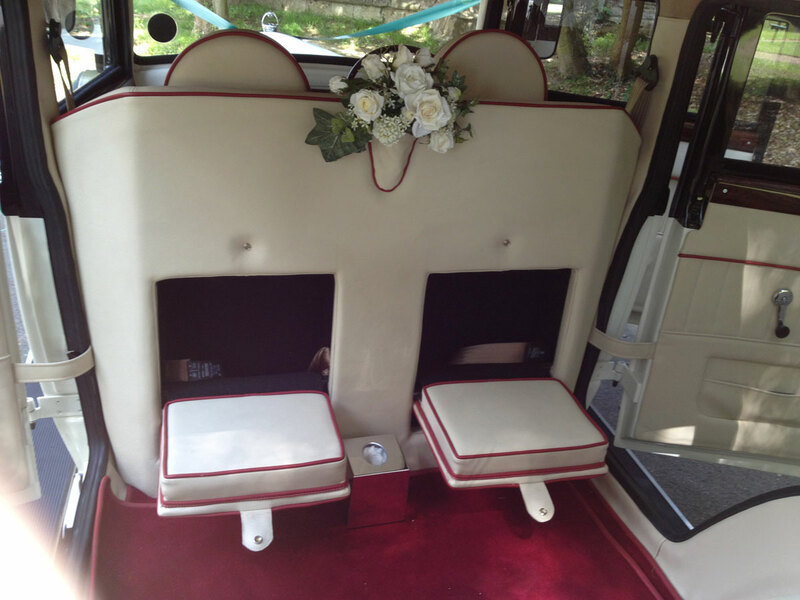 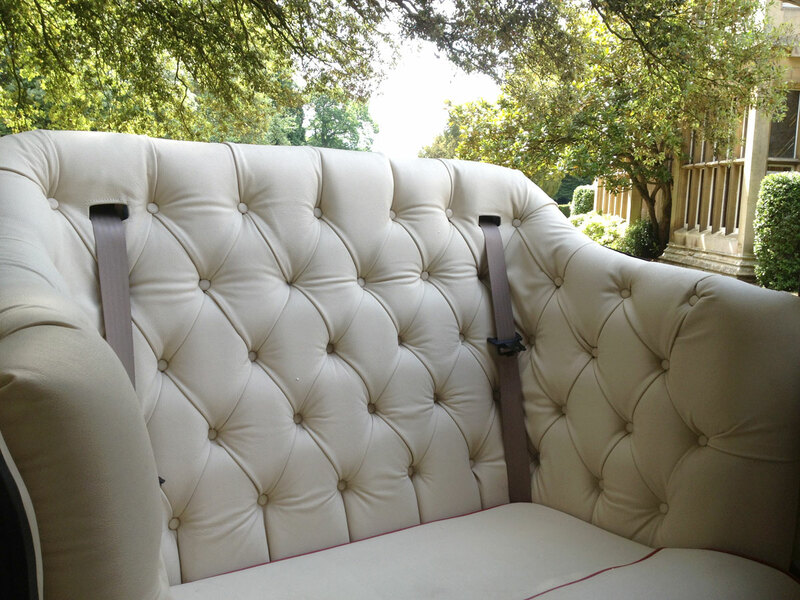 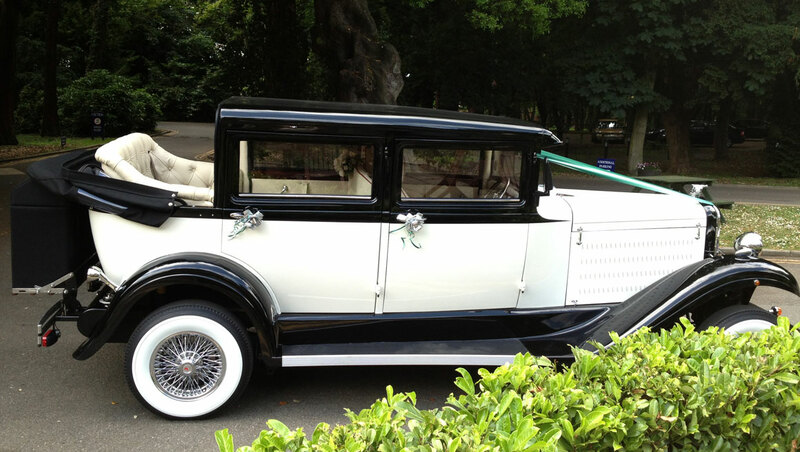 This is a ” Branford” 5 seater in Black Over Cream / Ivory Interior. 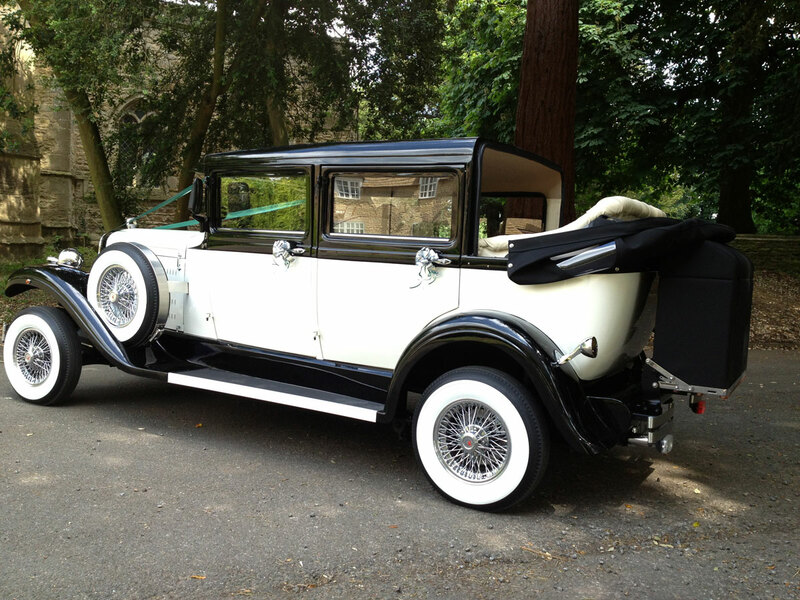 The elegant four-door Branford Elite Landaulette carries six passengers in comfort and style and can be great for when the sun is shining as the roof pops open in an instant but easily closes up tight again should the weather take a turn for the worse. 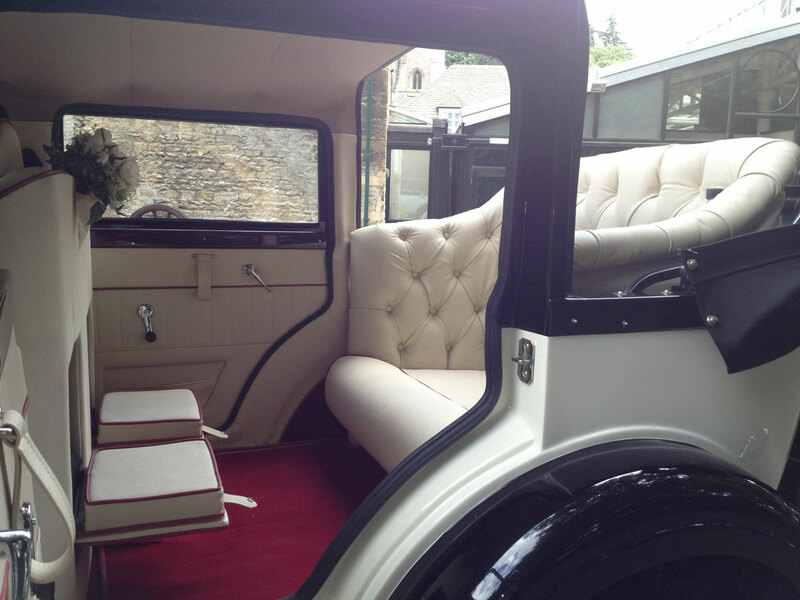 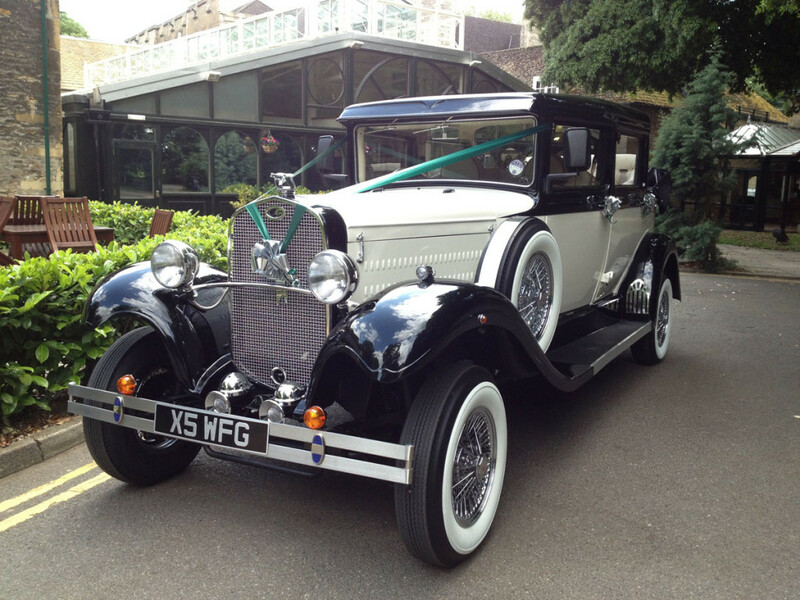 This is really the best of both worlds for the Bride and Groom these cars are fantastic looking with the timeless elegance of the roaring 1920’s and with the option of a fold down roof it also offers great opportunities for fantastic photographs to be taken on your special day. 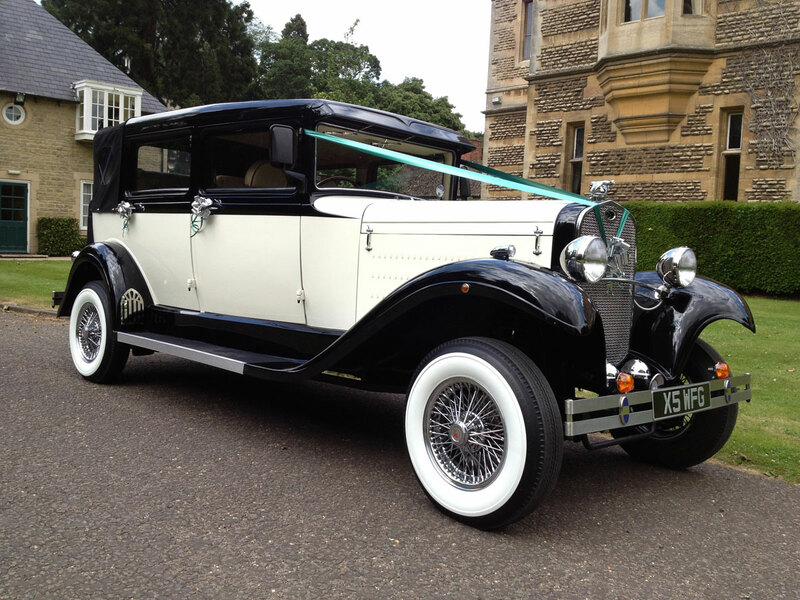 This car truly looks stunning and comes complete with many period features including wire wheels, whitewall tyres, luggage box, and large chrome headlights.